Orion is one of the more famous constellations, with its three belt stars, bright red-giant star Betelgeuse. When we observe Orion with the naked eye, we can see the bright Orion nebula (also known as M42) as a fuzzy patch within the sword of Orion. But the nebula we see is only the brightest region of a nebula that spans nearly the entire constellation, known as the Orion Molecular Cloud Complex. The Orion Complex seen against a diagram of the constellation. The Orion complex is about 240 light years across and only about 1,500 light years away, so it spans a fairly large region of sky. 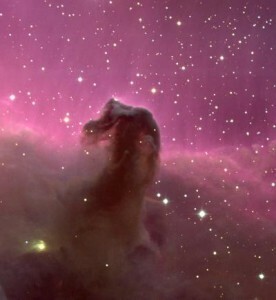 It is a large molecular cloud containing regions of reflection nebulae and emission nebulae, as well as dark nebulae such as the Horsehead nebula. 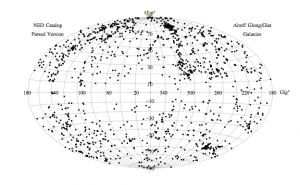 It is also a stellar nursery. 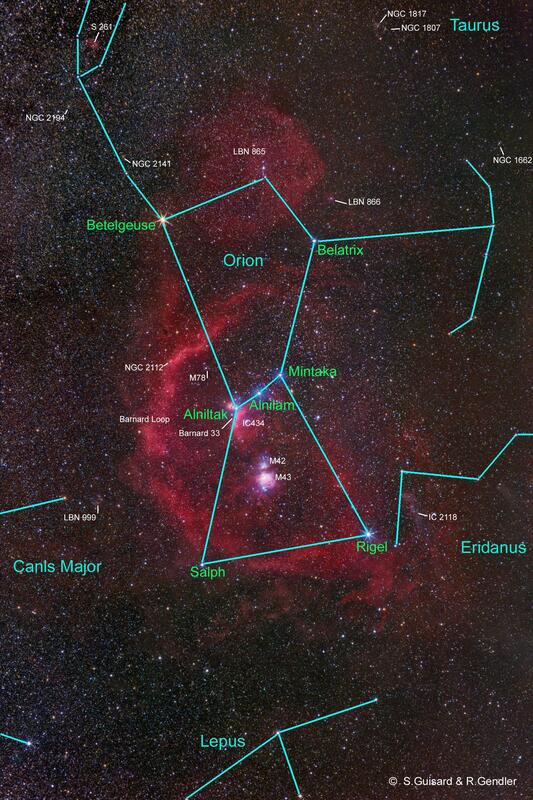 Many of the stars seen in the constellation of Orion have their origins in the Orion complex. Most prominently, the three bright belt stars (Alnitak, Alnilam, and Mintaka) were formed within the cloud. The complex is one of the most active star production regions in the sky, and because of its proximity it gives us an excellent view of the process. When we view the region in infrared, we’ve found over 2,000 protoplanetary disks, where planets are likely forming around young stars. There’s a lot going on in the region. But when we look at it with the naked eye, we simply see a bright, easy to find constellation. You could say the region is more complex than it seems.